David joined Arlingclose as Client Director in October 2010. He has over 20 years’ experience of providing treasury advice and support to local government officers and Members including debt management and investment management advice. David is responsible for the strategic management of client advisory services at Arlingclose. He also heads up the debt management team and has a proactive role in the analysis of interest rate movements and forecasts, with an emphasis on the formulation and implementation of debt management strategies. Current projects include rolling out iDealTrade.net, a new, automated “Local to Local” matching platform, renegotiating LOBO terms and developing alternative funding products with a variety of financial institutions. He has completed and passed the CIPFA/ACT Certificate in International Treasury Management – Public Finance in April 2010. 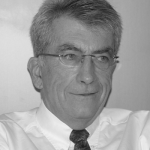 David has been providing treasury management consultancy services to public sector clients since 1997. He was Assistant Director at Butlers Treasury Consultancy where he managed a number of client accounts and was a regular speaker at training events and seminars on treasury management issues. These included Council Member briefings covering debt and investment risk management and the Local Government Finance regulatory framework. Laura is a CPFA accountant and joined Arlingclose in April 2013. She is a client facing executive; her role includes providing advice on debt and investment strategies, providing assistance with technical accounting issues, producing clients’ balance sheet analysis and liability benchmarks, assisting clients in their compliance with regulations and in report writing. She assists with capital finance options appraisal, MRP and financial instruments closedown issues. Laura attends client strategy meetings and oversees a number of client relationships. 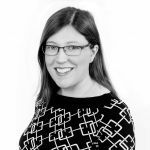 Laura is part of the Technical Team and assists with due diligence reviews, capital finance options appraisals, minimum revenue provision and financial instrument closedown issues. She presents a number of Arlingclose workshops including Accounts Closedown workshops. Starting in 2007, Laura worked for five years at the Metropolitan Police Service, where she completed her CIPFA studies. During her time there she worked in management accounting, financial accounting and project teams. She has experience of year end closure of accounts. Laura graduated from Imperial College London with a BSc (Hons) in Physics. David commenced employment with Arlingclose as Client Director in October 2012. He is a CIPFA qualified accountant and holds the Association of Corporate Treasurers’ AMCT Diploma. David is the strategic lead on Arlingclose’s approach to investment strategy and credit risk management, ensuring clients earn a suitable risk-adjusted investment income while remaining within their risk appetite. He is also a key member of Arlingclose’s technical team, maintaining our key relationships with CIPFA and DCLG. He writes and delivers our annual workshops on investment strategy and accounts closedown. David is a regular speaker at external conferences and blogs on treasury management issues on www.Room151.co.uk. Previously, David worked in the private sector for five years as a treasury manager where he managed the cash flows and banking activities of a large leisure business. He then joined West Sussex County Council as Treasury Manager where he completed his CIPFA professional accountancy qualification. David joined Sterling Consultancy Services in 2008 and in 2011 was promoted to Head of Consultancy before moving to Arlingclose the following year. Nicole joined Arlingclose in September 2016 as a Client Executive. She completed the CISI Capital Markets Programme in February 2018 and Unit 1 of the IMC in September 2018. Nicole’s primary role consists of managing client relationships through attending strategy meetings and maintaining regular contact with officers to assist with day to day treasury decisions. She also delivers a number of different client workshops and training events to both officers and members. Nicole also is involved in the completion of treasury and leasing advisory tender documentation and responding to client queries. Nicole is a member of the credit team, which consists of reviewing financial counterparties and approving these institutions for our lending list, as well as analysing both corporate and covered bonds. She is also a member of the funds team and attends regular meetings with both funds on our recommended list and prospective funds, as well as undertaking analysis on fund performance. Nicole supports Arlingclose’s Leasing Advisory services, including liaising with clients and lessors, facilitating the smooth running of tenders and providing operational and administration assistance. Other responsibilities include conducting quarterly benchmarking of client investment portfolios and Money Market Funds. Nicole joined Arlingclose in September 2016 after graduating from the University of Leeds with a BA (hons) in Economics and Politics. Having left University in 2015 Nicole worked in the real estate industry. Mark is a founding Director of Arlingclose’s Treasury Advisory Services. He has 26 years of treasury advisory and fund management experience. In addition to being CPFA qualified, he also completed and passed the new CIPFA/ACT Certificate in International Treasury Management – Public Finance in April 2010. Mark’s principal role is that of devising strategy for the overall business as well as the key and distinctive themes that underpin clients’ treasury strategy. He is a regular speaker on treasury management issues and is consulted by a wide range of bodies that include parliamentary select committees and CIPFA’s Treasury Management Panel. Mark began his career at Suffolk County Council where he qualified with CIPFA in 1990. In 1992 he joined the Public Sector Team at UBS Phillips & Drew as a treasury management consultant. He was made Director prior to joining Sector Treasury Services as its Director of Advisory Services in 1997. In 2001 Mark joined Cazenove Fund Management and was responsible for developing its public sector business as well as a range of institutional client and investment consultant relationships. Having worked closely with the fund managers on the identification, evaluation and monitoring of risk that experience has shaped the distinctive approach adopted by Arlingclose since 2004. Amar joined the Arlingclose team in February 2014 as Client Executive. Her primary role consists of managing client relationships through attending strategy meetings and maintaining regular contact with officers to assist with day to day treasury decisions. Amar also delivers a number of different client workshops and training events to both officers and members. As a member of both the Credit Team and the Funds Team, she is also responsible for reviewing the credit quality of individual counterparties and pooled funds on an ongoing basis and approving these for recommendation to clients. As well as continued monitoring, Amar also meets with these institutions regularly in order to maintain the relationship. 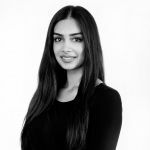 Amar is a key member of the client advisory team and has assisted on and delivered a number of bespoke services such as investment appraisal reports and sourcing alternative funding products from financial institutions. She is also responsible for the management of tenders for both existing and potential client contracts. Amar graduated from the University of Portsmouth with a BSc (Hons) in Mathematics for Finance and Management. Amar also holds a Level 3 CISI Certificate in Securities. Stuart joined Arlingclose in October 2016 as Client Executive. Stuart’s role includes maintaining client investment and debt profiles and preparing economic and credit updates. As a member of the Systems team, Stuart maintains and develops the Treasury Management System that Arlingclose provides. Other responsibilities include investment appraisals for clients, quarterly investment benchmarking and attending meetings and workshops for maintaining client use of the Treasury Management System. He is also a member of the Interest Rate forecasting team and regularly writes economic updates for clients. Stuart graduated from Swansea University with an MSc in Financial Management, after completing a BSc in Economics. Stuart previously worked in the accounts department at Charge Automotive. Phiroza joined Arlingclose in April 2005 as Client Director. She has been providing treasury advice and support to local government officers and Members since 1992. Phiroza oversees a number of long-standing client relationships, providing advice and support to officers and members on treasury strategy, implementation and risk management. She advises on bespoke debt and investment opportunities, credit policies, and compliance with Prudential and Treasury Management Codes and Investment Guidance. She is a member of the Arlingclose interest rate forecasting team and also of the investment group analysing and assessing pooled investment schemes. Phiroza delivers Arlingclose’s client (officer and member) workshops and also maintains contact with CLG, CIPFA and investment fund managers. Phiroza passed the CIPFA/ACT Certificate in International Treasury Management – Public Finance in April 2010. Phiroza joined Integer Treasury Services as Treasury Advisor in 1992. 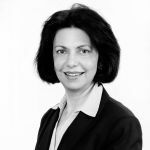 Following Integer’s absorption into Sector Treasury Services in 1997, she also had a key role in formulating local authority credit and counterparty policies and investment strategies. She provided the ODPM with valuable input on their draft and final Guidance on Investments during the development of the Prudential Framework and played a key role thereafter in assisting local authorities in establishing individual investment strategies. As Assistant Director at Sector she was responsible for managing client relationships, as well as advising on debt, investment and credit strategies. Phiroza graduated with a Bachelor of Commerce degree from the University of Bombay reading Accountancy and Economics. Nicholas joined Arlingclose in October 2012, having previously worked at Sterling Consultancy Services since 2006. He is responsible for advising clients on treasury risk management, the financial market environment and investment and debt opportunities. 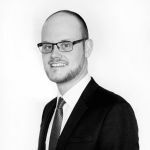 Nicholas manages the relationships of a number of long-standing local authority clients and is the lead for Arlingclose’s financial institution clients. 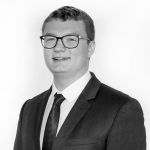 One of Nicholas’s responsibilities is the development of the team’s economic view and the production of forecasts and regular commentaries, analysis and reviews. He has also been instrumental in the development of investment opportunities, arranging group investments in housing associations and covered bonds, and creating the Corporate Bond Issuer Service. He also writes and delivers training courses on his areas of expertise, particularly with regard to elected member training. Nicholas has previously worked at both Gloucestershire and Lancashire County Councils. At Gloucestershire he managed treasury portfolios totalling £600m. He is an Affiliate of the ACCA and an Associate Member of the CISI and graduated from the University of Durham, Queen’s Campus, with a BA (Hons) in Economics and Financial Markets. Stephen joined Arlingclose in June 2010 as Leasing Director to provide independent leasing advice to clients. He has 38 years’ experience in all aspects of leasing, vendor finance, asset and capital financing. Stephen leads the Arlingclose Leasing Advisory service by undertaking strategic options appraisal to determine the most cost-effective means of financing capital assets and initially assess whether leasing or other asset funding options are financially viable. Stephen provides comprehensive support for any leasing tender process which includes review and revision of asset finance and leasing contract documentation. Importantly, he also provides clients with advice and assistance to achieve revenue savings through effective end of lease negotiations with banks and lessors. Stephen has held senior positions in various global banking and financial institutions including Lombard Nat West, HSBC, GE Capital, Rabobank and CIT. 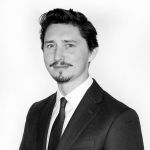 He has worked as a specialist public sector leasing /asset finance advisor and consultant with Capita Asset Services and he has also worked with Dell EMEA advising and developing their European public sector financing of tech assets. Stephen has the Finance and Leasing Association Diploma qualification; a BA in Business and holds a Master’s Degree in Business Administration (MBA) from Manchester Business School (The University of Manchester). Stephen joined Arlingclose as Assistant Client Director in May 2014. He has a decade of experience in Treasury, investment management and accounting. 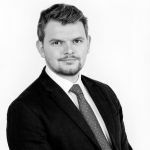 Stephen manages client relationships, providing comprehensive advice and support for officers and Members on treasury policy, debt and investment strategies, MRP policy, compliance with the CIPFA Prudential and Treasury Management Codes and the accounting Code of Practice. As a member of the Housing Team, Stephen leads on the arrangement of funding for Registered Providers. Stephen is also a member of the Credit and Technical teams, helping to formulate Arlingclose’s investment and accounting advice. Stephen has also developed and leads Arlingclose’s offering for transactional banking advice. 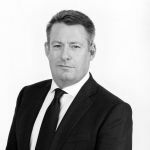 After beginning his career in Sales and Public Relations, Stephen spent five years at the London Borough of Hackney, gaining detailed and extensive experience in Treasury, Banking, Pensions and Accounting before joining Arlingclose. Stephen graduated from Balliol College, Oxford University with a BA (Hons) in Classical Archaeology and Ancient History and is a member of the Chartered Institute of Public Financial Accountants. Mark is a founding Director of Arlingclose’s Treasury Advisory Services. He joined in September 2004. He has 20 years treasury advisory experience including financial modelling, investment, debt and risk management strategies and creating bespoke investment structures for clients based on risk appetite and preferences. Mark is Arlingclose’s key adviser to local and police authorities overseeing client relationships, formulating interest rate strategies, applying appropriate responses across client debt and investment portfolios and formulating Arlingclose’s creditworthiness policy, ensuring clients’ compliance with CIPFA’s Prudential and Treasury Codes. He is a principal member of the Arlingclose interest rate forecasting team. He began his financial career on the Sterling Inter-bank desk at money broker Tullett & Tokyo, gaining broad experience in UK fixed income products, swaps and other derivatives. 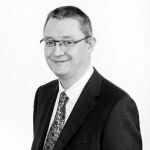 In 1997, Mark joined Integer Treasury Services, where he soon progressed to become a highly regarded and senior member of the Sector Treasury Services Team as Assistant Director. Philip has supported the Arlingclose team since October 2008 as the Office and Accounts Manager. Philip supervises the company’s administrative activities. Greg joined Arlingclose in February 2010 as Client Executive. He is responsible for a wide range of client relationships and has a proactive role in advising clients on treasury management issues, with a particular focus on investment strategies. He both leads and supports these relationships at regular client strategy meetings as well as being an important day-to-day contact for many clients. Greg’s investment specialism is reflected in the sub-teams he is a member of, being a key part of Arlingclose’s Credit, Pooled Funds and Interest Rate Forecasting teams. As part of these teams Greg has strategic involvement in the development and delivery of credit advice; analysis, monitoring and recommendation of a range of asset classes and collective investment funds; and the formulation of both short and long-term interest rate forecasts. He is one of the primary contacts on the Asset Management industry and regularly meets with Fund Managers, Rating Agencies and other key industry participants. His focus is on longer-dated, strategic Fund opportunities and he also oversees Arlingclose’s advice on Money Market Funds, having spent over five years as the main contact on MMFs. Greg helps deliver Arlingclose’s treasury management workshop programme and Elected Member training service. He also supports Arlingclose’s Leasing Advisory services, providing strategic leasing advice to a range of clients. 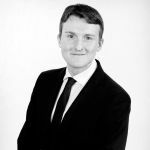 Greg spent a year at HM Treasury, working as an Assistant Economist having and graduated from the University of Surrey with a BSc (Hons) in Business Economics with Computing. Paul joined Arlingclose as an Assistant Client Director in September 2017. He is a CFA Charterholder and has over 13 years’ experience in the financial services sector including four years providing treasury advice and support to local authorities giving investment, debt management and debt restructuring advice. His responsibilities include the provision of advice to professional clients as well as sitting on the Pooled Funds team. Paul has also been assisting with UK bank ‘bail-in’ analysis and the credit assessment of housing associations. Paul began his financial services career at Sector Treasury Services, becoming a Client Executive and providing debt and investment advice to a range of local authority clients. He was also a member of Sector’s Interest Rate Strategy Group, helping to devise the in-house Bank Rate and gilt yield/PWLB interest rate forecasts. 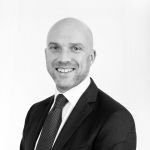 Paul continued to work extensively with local authorities and other public sector bodies after moving to Santander in 2008, holding a variety of positions during his nine years there. 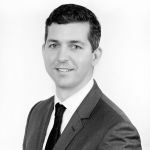 Before starting his career in finance, Paul worked for a FTSE 100 engineering company and graduated from the University of Bristol with an MSc in Economics. Mark joined Arlingclose as Client Director in October 2010. He is a CIPFA qualified accountant with over 25 years of local government finance experience. Mark is responsible for managing and maintaining client relationships, providing advice and support for officers and Members on all aspects of treasury policy, debt and investment strategies, MRP policy, compliance with the CIPFA Prudential and Treasury Management Codes and the accounting Code of Practice. He also provides accounting advice on treasury transactions for clients’ financial statements at the each financial year end. 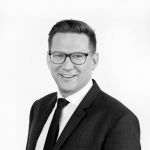 Mark is a Strategic Director and is responsible for Arlingclose’s Technical and Consultancy offerings advising on balance sheet reviews and projections, capital and technical accounting, including Housing Revenue Account related issues. He is also involved in Arlingclose’s technical and accounts closedown related workshops. As a key member of the Housing Team, he assists local authorities in the delivery of their housing strategies through innovative housing delivery solutions. He is a member of CIPFA’s TIS Online advisory team for Capital and Investments and was a Case Study examiner. Mark was a treasury practitioner at West Somerset BC and Taunton Deane Council. Before joining Arlingclose, he was part of Sector Treasury Service’s client relationship team and had advisory responsibility for over 30 local authority clients. He was responsible for business development, bringing many new and innovative products to market and was also a key member of Sector’s Technical Advisory Group. He has also worked for the Audit Commission, where he had responsibility for many local authority and NHS audits and also gained project management experience whilst on secondment to the Audit Commission central office in London. Chris joined Arlingclose as its full-time Technical Director in 2005. He is a CIPFA qualified accountant with over 30 years of practical local government finance experience with District, County and Unitary Councils. Chris assists with the interpretation of and guidance on new legislation/ government directives, carries out full balances sheet reviews and forward projections of the Capital Financing Requirement (CFR) reviews, advises on Prudential Code optimisation, MRP policy, capital finance and technical accounting issues including implications of IFRS on treasury management. He also provides accounting advice on treasury transactions for clients’ financial statements at the each financial year end. Chris’ experience and knowledge was instrumental in Arlingclose being appointed by CIPFA in March 2006 to advise it on the implications of the adoption of FRS 26 into the 2007/08 SORP. Chris writes Technical Bulletins on topical issues, co-ordinates responses to consultations, establishes maintaining a working relationship with the CLG, Welsh Assembly, CIPFA and audit/accounting bodies. On its formation in 2011 Chris became the first Secretary of the Wales/Cymru branch of CIPFA. Immediately prior to that he was the last Chair of the CIPFA Wales/Cymru Forum. 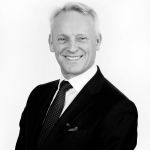 As Lead Officer at a Prudential Code Road-test Authority for Prudential Indicators, he has since utilised his experience to shape Arlingclose’s treasury services and developed the Arlingclose capital finance options appraisal system. As a key member of the Housing Finance Reform Team a Board member of North Wales Housing Association, he was responsible for the delivery of housing subsidy reform solutions bespoke to each client’s individual circumstance and, alongside Mark Swallow, led the technical analysis essential to the take-on (or commutation) of housing debt by our local authority clients. He is also involved in Arlingclose’s technical and accounts closedown related workshops. Chris has over 30 years local government experience with District, County and Unitary authorities. He was Treasury Manager at Denbighshire County Council and its predecessor authorities. 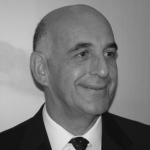 Philip has worked in the UK leasing market for more than 30 years. 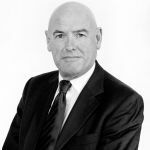 After working as a local authority money broker he joined Saturn Management and subsequently became its Chief Executive. Saturn progressed from being the leading local authority leasing advisor of its day to creating special purpose companies for nearly 100 local authorities. With others, he founded Sector Group, which was subsequently acquired by The Capita Group in 1998. Philip has been a Director of Arlingclose since 1993 working with Charles Humphry in creating and managing special purpose companies for public sector bodies. Charles, a CPFA accountant, was a Director of Sector Group prior to its acquisition by The Capita Group. He was a co-founder of Sector in 1992 and was responsible for a number of innovative funding structures used by local authorities and universities to undertake major new capital investment. Since 1979 Charles has advised local authorities on capital financing and has arranged finance in excess of £2 billion for them. Along with Philip Clein, Charles has been a Director of Arlingclose specialising in advising local authorities on financing complex capital projects since 1993. Before entering the city, Charles was an Assistant County Treasurer and had also been an advisor to the Secretary of State for the Environment on Local Government Finance. He is Chairman of a major Housing Association and is a Non-Executive Director of his local Primary Care Trust. We are always looking for exceptional individuals to join our motivated and professional team. If you think you have what it takes to join us please get in touch.